According to the National Health Survey of 2015 - 16, 150 million people in India are in urgent need of mental health treatment, both short term and long term. The number of psychologists and psychiatrists per 1,00,000 of the Indian population abysmally low, merely 0.07 and 0.3 respectively. The District Mental Health Program (DMHP), though a noble initiative, is struggling with understaffed centres and lack of funds, thus arresting its ability to undertake expansion. As with every social welfare scheme, scalability continues to be a major issue for the DMHP program. The answer to this may lie in the latest buzzword that has been doing the rounds in the country, namely Artificial Intelligence (AI). With the stress of the Central Government in the interim budget to establish a National Artificial Intelligence Center, India has never been better placed to utilize AI to assist those suffering from mental illnesses. Anxiety, depression and schizophrenia are insidious diseases that are indiscriminate in their attack on every age group. Evidence suggests that the number of mentally ill patients in India will only increase in the coming decades. The invisibility of it further complicates the situation, especially in rural India, where the belief that such conditions are a result of evil eye or black magic is pervasive. Urban India performs better, but only marginally since it too faces the problem of therapy being prohibitively expensive and socially stigmatized. The lack of awareness about mental illnesses, especially at the workplace, often leads to the belief that the employee can’t be entrusted with any job responsibility. This is precisely the reason why insurance coverage or paid leave is rarely provided to mentally ill patients. The prevalent belief that will power can help mentally ill patients is as good as proposing that optimism can make appendicitis, or any other biological disease disappear. India might just find its solution in an initiative that began way back in the 1960s at the MIT Artificial Intelligence laboratory. The rudimentary AI based chatbot called “ELIZA” was able to simulate a short conversation between a therapist and a patient and is the godparent of such systems used today. 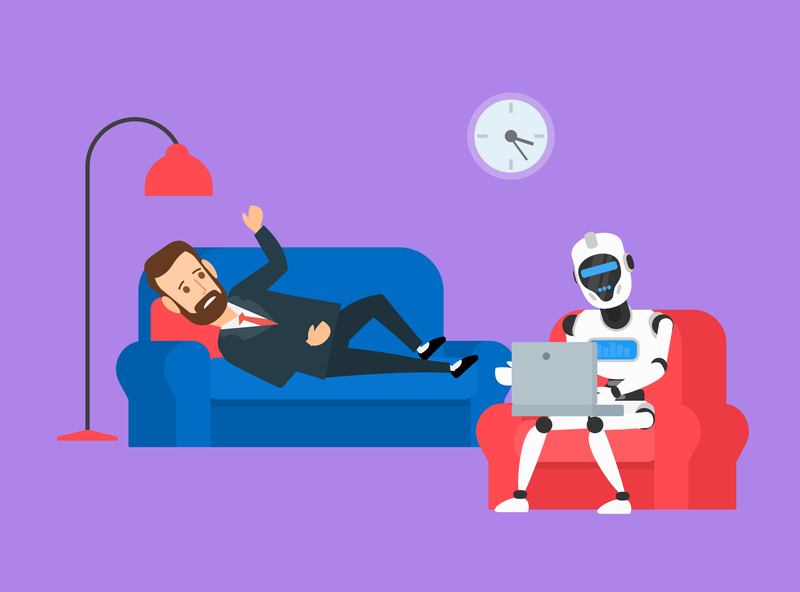 AI - based systems have come a long way since then and India, which is among the top performers in AI innovations, might be able to leverage its burgeoning AI ecosystem to build virtual therapists, accessible even to those living in remote corners of the country. National initiatives on natural language processing and popularity of smartphones, especially in rural areas mean that AI app - based services can be easily provided to mental health patients who have so far, been ostracized. An integrated network of chatbots with therapists and psychiatrists to remotely monitor the progress of the patient might be a good starting point for seeking treatment for such diseases. Successful deployment of virtual assistants such as “Karim” which have been helping Syrian refugees cope with the trauma of loss and displacement is an encouraging sign. Such systems are becoming increasingly nuanced at simulating human - like interactions. Advancements in neural networks only mean that they will become more refined and sophisticated in the coming decades. In India too, innovations such as Wysa are leveraging artificial intelligence to provide support to mental health patients in India. The ubiquity of smartphones, focus on Digital India, and low cost of implementation makes AI an affordable healthcare solution in India. Though it can be argued chatbots can’t be a replacement for human - to - human contact, it is a worthwhile endeavour considering the time required to fortify our mental healthcare facilities is going to be long. It can also be argued that the confidential and non - judgmental nature of chatbots might incentivize patients to be more forthcoming about their symptoms. In short, AI - based therapy systems can be a good starting point to address the pertinent problem of stigma, staff shortage, expensive treatment and lack of support systems. In a country, where suicide attempts by mentally ill patients were decriminalized only two years ago, an intervention to further the good intent of the Mental Health Act is necessary. Hopefully, with the deployment of such apps, we will finally be able to get deconstruct the stigma around mental health. The human element in dealing with mental illnesses can be a double-edged sword and maybe it is this gap that artificial intelligence - based technologies can help us overcome.